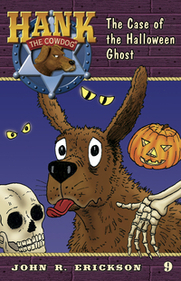 When darkness falls, Drover reports that he has seen a witch, a ghost, a pirate, and two skeletons on Slim’s front porch. These terrifying creatures were saying something about "Tricker Trees". Hank goes to verify this and the fun really starts.